Speculations are rife that the Real Madrid superstar would be leaving the Spanish capital after nine years to join European giants Juventus this summer. The Serie A side has already begun transfer negotiations and is preparing a move to bring the Portugal captain to Turin for a fee of around £88 million and a club-record £26.5 million-a-year deal, according to Marca. Even as the rumours intensified, Spanish TV show Jugones reported that Los Blancos was willing to accept the offer from Juventus even as the Champions League winners reportedly cut their star forward's release clause from €1 billion to €120m, keeping in mind a possible transfer. 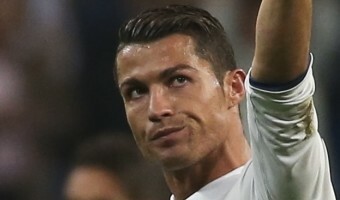 As it turns out, Ronaldo is more than willing to join Juventus and he is likely to say yes to the move, according to Italian daily CalcioMercato. Juventus made up their mind to make a move for Ronaldo after the superstar footballer's agent, Jorge Mendes met with Fabio Paratici, the Sporting Director of the Old Lady and its CEO … [Read more...] about Cristiano Ronaldo transfer news: Is the Real Madrid superstar interested in a move to Juventus?